For the pressure drop test I used a 25L portable water container filled with 20 litres of water, with a 1/2" plastic threaded barb placed in the bottom to represent the reservoir. A stop tap was inserted immediately after the 1/2" barb to allow for a faster water-block change. The IFS pressure meter was used to record the head pressure per 1 minute testing cycle. 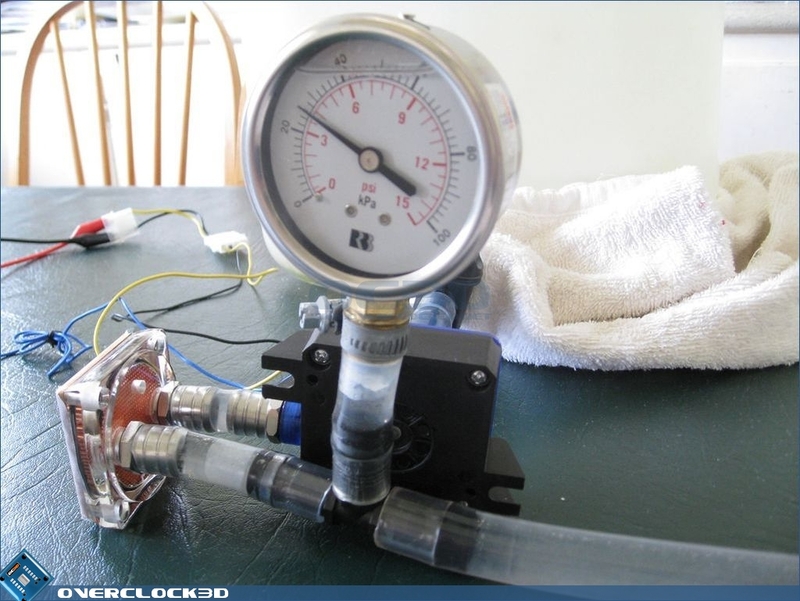 The pump was primed and let run for a short period to ensure that no air bubbles were left in the loop. The water was allowed to run back into the container after passing through the pressure meter meter via a 'T' connector in order to minimise wasted time between water-block changes. 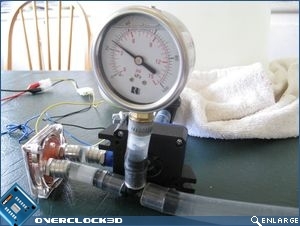 The first run made was with only the pump and pressure meter included in the loop and the water pressure noted. 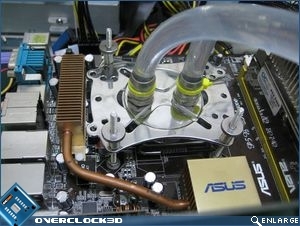 Then for second run the Flow Performance water block was included into the loop and the drop in loop pressure recorded. 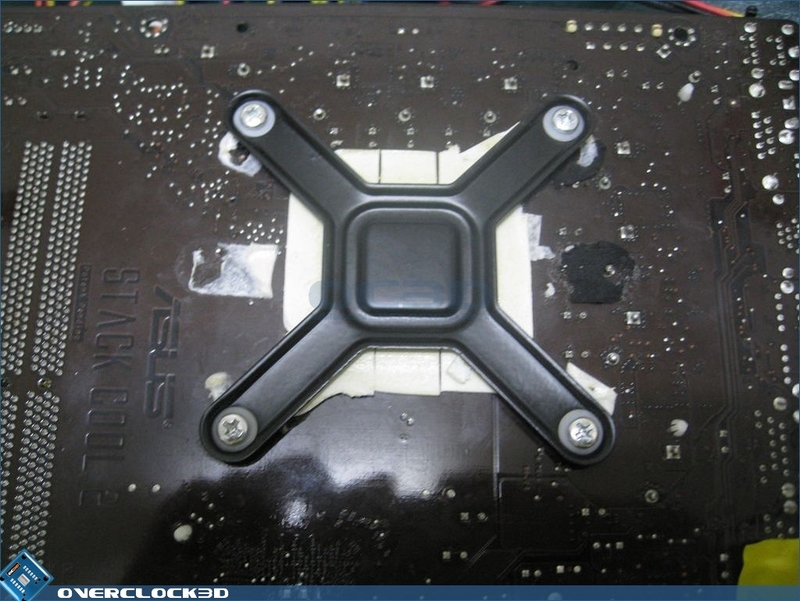 The same procedure will be followed for the XSPC X20 Delta water block. 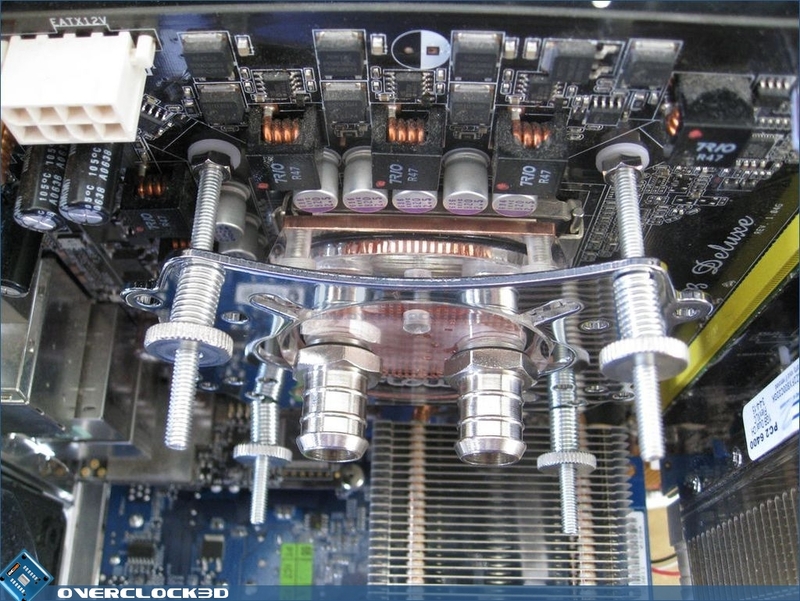 In a similar test to the pressure drop testing above, the flow test will highlight just how much the waterblocks restrict the natural flow of a water-cooling loop. Utilising a very simple setup consisting of a pump, I/2" ID tubing, water blocks, bucket and a stopwatch we will see how far removed from the absolute flow of the pump, that the water blocks hinder flow. Running the pump into the bucket for one minute and then measuring the amount of water pumped will be the 'absolute flow' of the pump. 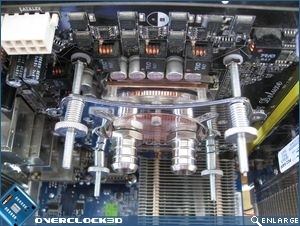 To calculate the flow-loss or restriction of each waterblock, they will each be included into the loop (one at a time) and the same procedure followed. 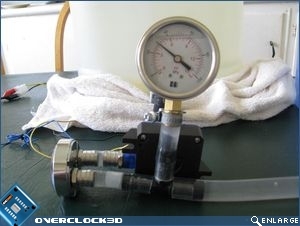 The flow rate will be recorded in Litres/ hour. All simulations will be run 3 times each to ensure uniformity of the results and an average then taken. I have decided to impliment a control setup for the testing phase of this review. 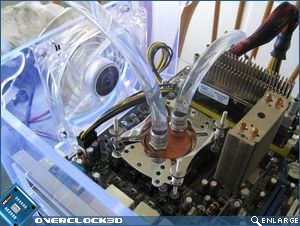 In doing so I have replicated a watercooling loop similar to that in conventional water cooled setups, but also one that should return consistant and unbiased performance results. The open loop that I have chosen to run with will use be semi-restrictive in nature, but again should give quite a good indication of how the XSPC X2O and Flow Performance water-blocks would perform in your system. The water block performance will be assessed at a flow rate of 12V. For each run, the pump was allowed to run for 20 mins to ensure the evacuation of all air from within the loop. The temperatures were taken at 30 minute intervals to allow them to 'settle'. Two instances of ORTHOS will run simultaneously in order to simulate load. 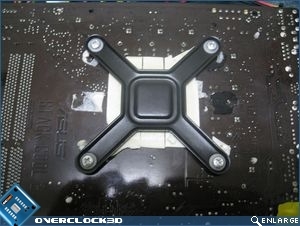 A backplate has also been included, so as to allow the water blocks to be tightened 'right down'.